The White House pointedly avoided any specific condemnation of the announcement. 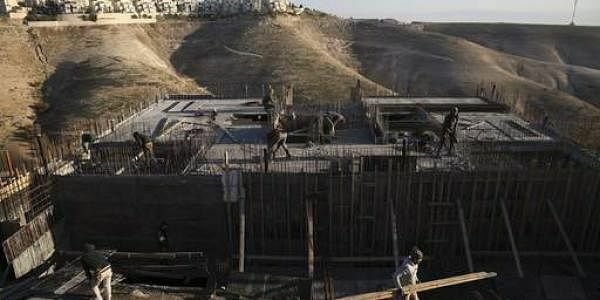 JERUSALEM: Israel's government approved the first West Bank settlement in two decades Thursday, creating the first serious test for U.S. President Donald Trump's new foray into Middle East peacemaking. The White House pointedly avoided any specific condemnation of the announcement, although it said that further settlement activity "does not help advance peace" and that it expects Israel to show restraint moving forward. Still, the relatively tepid response was a far cry from the automatic condemnations voiced by the Obama's administration in reaction to Israeli settlement announcements. The White House statement even went so far as to "welcome" what appears to be a limited Israeli commitment to take Trump's concerns about settlements into "consideration," without any guarantees to avoid similar announcements. Prime Minister Benjamin Netanyahu's office announced the decision late Thursday following a meeting of his policy making Security Cabinet. Netanyahu has vowed to build a new settlement to compensate the residents of Amona, an illegal settler outpost that was demolished in February under the orders of Israel's Supreme Court. Thursday's announcement said the new settlement would be built near the existing settlement of Shilo, which is nearby to the Amona site. It also said the government had approved tenders to build 2,000 new apartments from previously approved settlement projects. The Palestinians claim the West Bank and east Jerusalem, areas captured by Israel in 1967, as parts of a future state. In December, weeks before Trump was inaugurated, President Barack Obama allowed the U.N. Security Council to pass a resolution that declared all settlements in both areas to be illegal. Trump condemned the decision at the time. On the campaign trail, Trump indicated he would be far more sympathetic to settlements than Obama and the international community, which consider Israeli construction on occupied land to be illegal. His platform made no mention of an independent Palestinian state, and his inner circle includes strong supporters of the settlement movement. But since taking office, Trump has appeared to change his position, telling an Israeli newspaper last month that settlements "may not be helpful" and telling Netanyahu at the White House that he would like to see some restraint. Since then, Israel and the U.S. have been in talks over what kind of construction the White House would tolerate. A White House official sought to play down Thursday's Israeli announcement, saying Netanyahu made his promise to the Amona settlers before Trump laid out his vision. But the official, who agreed to discuss the matter on condition of anonymity because he was not authorized to speak publicly about it, signaled that the White House would take a tougher line down the road. "As the administration has made clear: While the existence of settlements is not in itself an impediment to peace, further unrestrained settlement activity does not help advance peace," the official said. "The Israeli government has made clear that going forward, its intent is to adopt a policy regarding settlement activity that takes the president's concerns into consideration. The United States welcomes this." White House envoy Jason Greenblatt has already made two visits to the region, including attending an Arab summit in Jordan this week. In hopes of renewing peace talks for the first time since 2014, the official said the White House will continue to work with all sides "to create a climate that is conducive to peace." "We hope that the parties will take reasonable actions moving forward that create a climate that is conducive to peace," he said. Over 600,000 Israelis now live in settlements in the West Bank and east Jerusalem. But Israel has not built a full-fledged new settlement since the 1990s. Instead, construction during that period has expanded existing settlements or taken place in unauthorized outposts like Amona. Netanyahu's hard-line government, which is dominated by settler allies, recently passed legislation aimed at legalizing dozens of those outposts. The Palestinians and the international community consider the settlements obstacles to peace because they gobble up territory where the Palestinians seek to establish their state. Israel says the status of settlements as well as other issues, such as security, should be resolved in peace talks. Palestinian official Hanan Ashrawi condemned the new settlement approval and called for international intervention. "Today's announcement once again proves that Israel is more committed to appeasing its illegal settler population than to abiding by the requirements for stability and a just peace," she said. "It is time that all members of the international community serve the cause of peace and justice and bring Israel to cease and desist its unlawful settlement activities and illegal unilateralism once and for all."